Shooting is not just a sport. It is an art that requires high level of concentration, accuracy, speed and strength. No matter how good your shooting skill is, it is not easy to perfect all these qualities in one go, and not too many people can boast to have mastered even one in a short span of time. In Cambodia, taking shooting as a recreational activity or a competitive sport is considered extravagant. And the circumstances become trickier for women shooters. But, Peou Olica – a nationally recognised pistol shooter – has a different story to tell. Olica became well known for her expertise in shooting when she joined the International Practical Shooting Confederation (IPSC) National Games in 2018. She failed to grab the trophy, but she left a mark not just in the shooting range, but in the eyes of the general public. 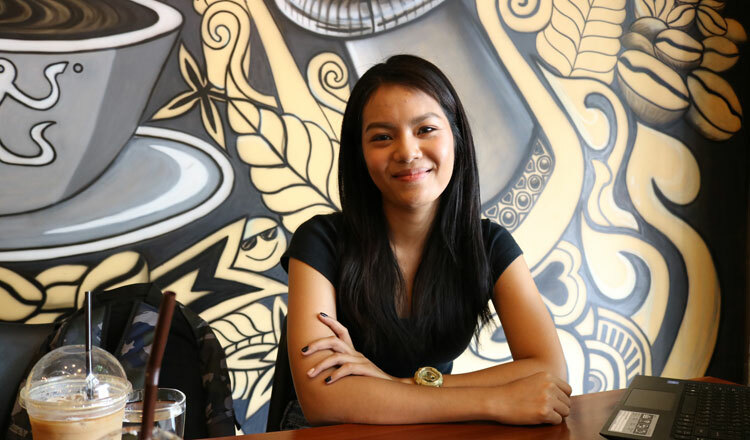 As a woman in a male-dominated field in sports, Olica challenged herself to break glass ceiling and bring honour to Khmer women through her chosen passion. And being part of the IPSC National Games 2018 was one of her greatest feats so far. Olica, who earned her degree in economics from the Royal University of Law and Economics (RULE), was born in family whose members never participated or got involved in pistol shooting or any shooting sport. She is special – being the first generation in her clan to have fought hard for a dream not too many people believed she could achieve. 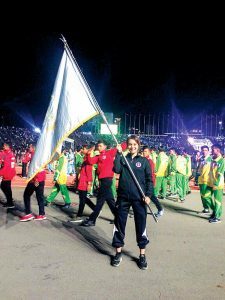 With her determination to be good in her field, Olica made her way towards last year’s national games where she exhibited her passion and prowess. 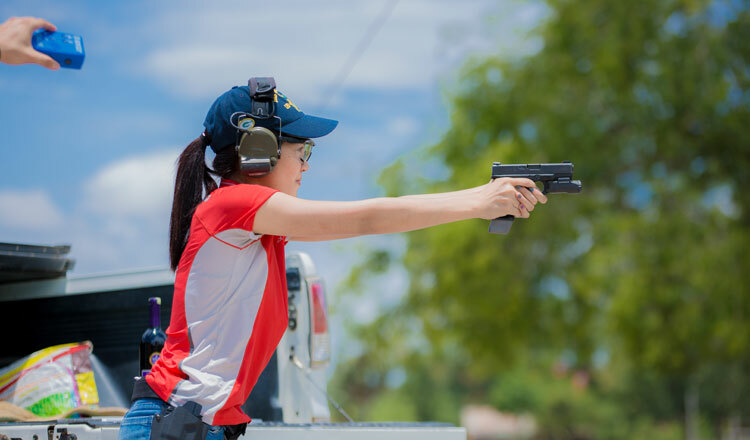 An inspiration for many aspiring shooters, Peou Olica’s journey as a Cambodia female shooter began at the age of 21, when she was first introduced by her friend to the shooting range in 2015. It was her first try; and it was also at that time when she realised the beauty and art of shooting. She never stopped since that day. Everyone can shoot, yes. But not everyone knows the ethics and rules of holding and shooting different kinds of guns. The rule and virtue of holding gun entail deep understanding, acceptance and master. And it is necessary that everyone should have wide knowledge on it and do it the legal way – in sports, for example. “Participating in the shooting practices and competitions allowed me to know the distinction between legal permissibility and moral responsibility of holding a gun. As every kind of sport has its health and physical benefits, shooting also provides various benefits to maintain a healthier life, explained Olica. 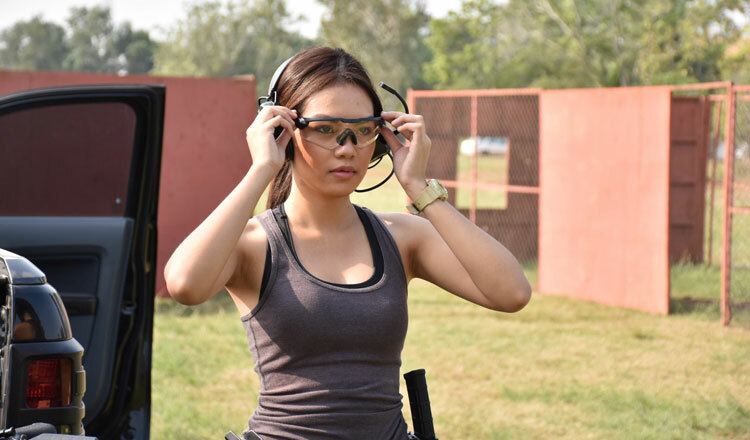 “Shooting requires intense physical practice including running, crawling and daily exercise which not only boosts your physical fitness but also your mental energy,” she shared. Olica emphasised that during practices and trainings, she has to make sure she’s fit and healthy as she has to do the exercises under the blazing heat. She also has to constantly deal with harsh comments from her coaches and fellow shooters on her performances, But all these, she said, also help her to persevere more. Peou Olica’s passion for her chosen sport is also her way to encourage women to be stronger.